Bi-component strengthening resin for 3D printing (FDM and SLA). Strengthens mechanical and physical properties and surface appearance. Optimal result after curing (16 hr at 50°C or 8 hr at 60°C). Comes in a 250ml bottle. 33,90 € Tax incl. 28,25 € Tax excl. 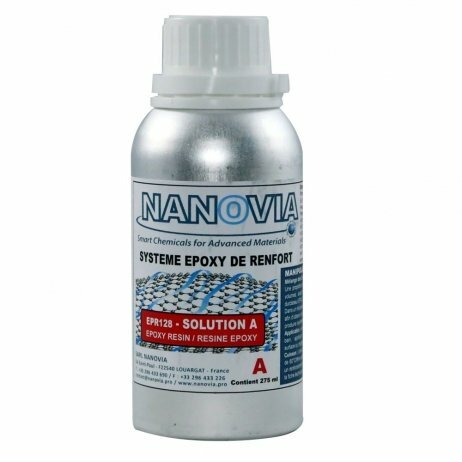 Produced in France by the Nanovia company, based in Brittany. This resin is an epoxy two-component system for strengthening parts printed by additive manufacturing (FDM and SLA). This thermosetting system is compatible with thermoplastics, metals and thermosetting materials. The resin increases the mechanical properties of printed parts, their physical properties and surface appearance. Nanovia resin does not require a high post-curing temperature to develop its mechanical and chemical properties. It is recommended that you cure the treated part at 50°C for 16 hours or at 60°C for 8 hours. This low curing temperature lets you process materials such as PLA, for example. The formulation of this two-component system is stabilised and formulated specially for exterior applications. The treated material can be sanded, painted, smoothed and made impermeable (to water, oil and other products) after curing. 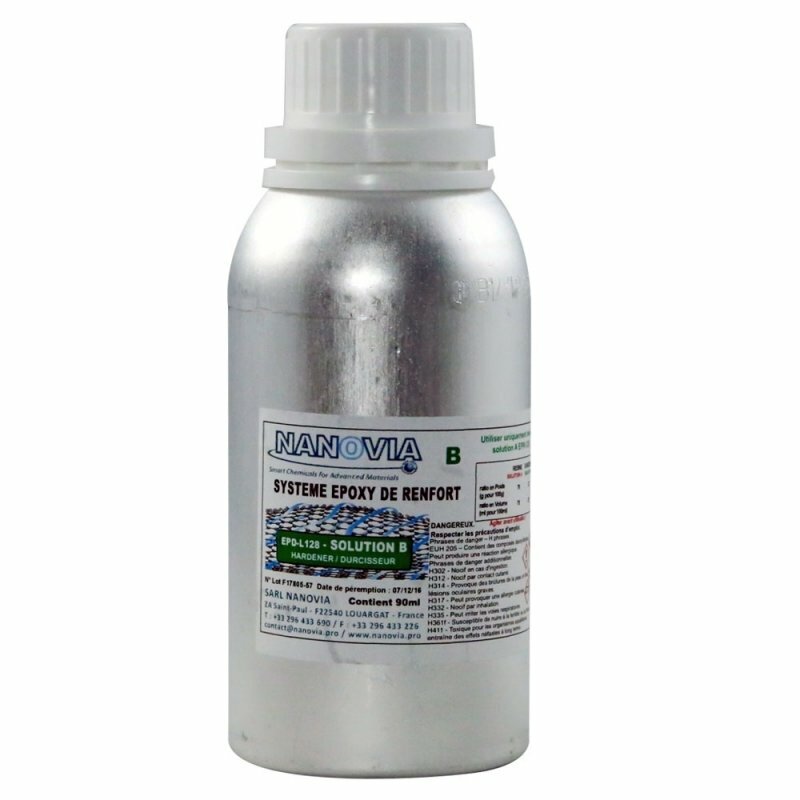 The PLASTIMPERM F10 waterproofing treatment can be applied to the composite in final processing. Accurate measurement by weight or volume should be performed before mixing the 2 components. Failure to comply with the amounts of the 2 components can alter the final properties of the material and degrade its characteristics after curing. The 2 ingredients should be mixed very homogeneously and carefully for at least 2 minutes before application. The exothermic reaction produces heat which results in self-sustaining and accelerated polymerisation. Therefore, do not leave the mixing process in a closed or confined container in order to dissipate the heat generated by the system. Once the mixture is homogeneous, apply the resulting solution to the clean, dust-free material. This epoxy system can be applied by brush, roller or spraying. In the case of porous materials, make sure they are completely soaked. To ensure an optimal increase in mechanical properties, curing is required. The minimum recommended time is 16 hours at 50°C (or 8 hours at 60°C). Users should be aware that "curing" at room temperature of 15-20°C does not achieve the optimal properties for the material. Cleaning should be done immediately after use and application of the system. Please remember that the hardened material CANNOT be cleaned. Tools and containers should be cleaned immediately after use with an acetone-type solvent.